We hold many assumptions about police work — that it be solely the responsibility the state, or that only police officers be given the right to kill in the name of public safety or self defense. 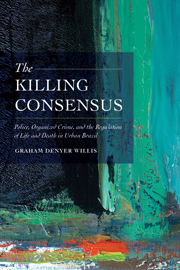 But in The Killing Consensus, Graham Denyer Willis shows how in Sao Paulo, Brazil, killing and the arbitration of “normal” killing in the name of social order is actually conducted by two groups— the police and organized crime — both operating by parallel logics of murder. Based on three years of ethnographic fieldwork, Denyer Willis traces how homicide detectives routinely categorize two types of killing: the first resulting from “resistance” to police arrest -often broadly defined-, the second at the hands of a crime 'family' known as the Primeiro Comando da Capital (PCC). Death at the hands of police happens regularly, while the PCC’s centralized control and strict moral code among criminals has also routinized killing, ironically making the city feel safer for most residents (the overall number of homicides is down by as much as 80% in some places). Via the arbitrations, street level experiences and sense making of death by homicide detectives, this book examines how a regulation of killing has emerged in Sao Paulo among these two groups. In a fractured urban security environment like that of many other cities in the global south, where killing mirrors patterns of inequitable urbanization and historical exclusion on class, gender and racial lines, Denyer Willis' grounded research finds that the city’s cyclical periods of relative peace and dizzying violence can best be understood through an unspoken but mutually observed consensus on the right to kill. This consensus hinges on common notions and street level practices of who can die, where, how, and by whom, raising acute questions about whether sovereign power can be exercised by consensus. Joanna Page’s new book Creativity and Science in Contemporary Argentine Literature explores the use of mathematical and scientific theories in contemporary Argentine fiction as models of literary innovation. Most European and North American writers have drawn on theories of incompleteness, uncertainty, complexity, entropy and chaos to point to the limits of human logic, the decline of society or the exhaustion of artistic creativity. In contrast, in the work of Ricardo Piglia, Guillermo Martínez and Marcelo Cohen, these theories become tropes for the endlessly self-regenerating capacity of literature. Their narratives expose, challenge and rework the Romantic legacies that continue to shape our understanding of both science and creativity, and counter proclamations of the end of philosophy or the exhaustion of literature in the postmodern era. Creativity and Sciencealso makes a contribution to debates on creativity and interdisciplinarity, tracing unexpected relationships between thinkers such as Nietzsche, Deleuze, and the Russian Formalists. 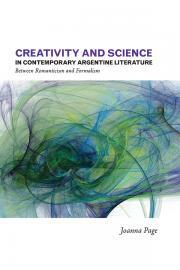 Creativity and Science in Contemporary Argentine Literature is published by the University of Calgary Press and available to download free as an Open Access E-Book. With International Relations, Charles Jones has written a short and comprehensive essay on the subject that covers international organization, global history, international political economy, armed conflict and international theory in five crisp chapters. Designed to be read on planes and trains by novices of all ages, the book takes as its point of departure the fact that hundreds of thousands of people the world over are now practitioners of IR: not just diplomats, traders and soldiers, but also journalists, entertainers, criminals, and the myriad workers in international organizations, both governmental and non-governmental. The book sets out to provide a framework within which this host can reflect critically on their experience and practice. It may also be the only introduction to the field that has more index entries for Argentina than Afghanistan, more for Chile than Canada and more for Latin America than for Israel, redressing decades of unjustified neglect by IR scholars! Ghosts of the Revolution in Mexican Literature and Visual Culture, edited and introduced by Erica Segre, is a collection of new essays commissioned from experts based in Mexico, Europe and the United States. It explores the presence and reconfigurations of the Mexican Revolution in art, photography, film, narrative fiction, periodicals, travel testimonies and poetry, ranging from the 1920s to the present day. Latin American Popular Culture: Politics, Media, Affect is edited and introduced by Geoffrey Kantaris and Rory O’Bryen. 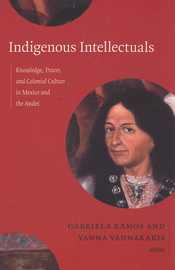 The collection includes several essays by staff teaching at the Centre as well as Jesús Martín Barbero, Francisco Ortega, and scholars from across the UK. It explores the changing conceptions and practices of popular culture in Latin America, drawing on a wide range of cultural phenomena, from forms of mass political experience in the Colonial and Independence periods to the modern-day emergence of street art, blogs, comic books and television, as well as the recycling of refuse as art, the marketing of santería to tourists, and the filming of poverty in the favela. Science Fiction and Digital Technologies in Argentine and Brazilian Culture is written by Edward King, a former Ph.D student at the Centre and now a Junior Research Fellow at St Catharine’s College, Cambridge. His first book explores how tropes of postmodern science fiction are used in Brazilian and Argentine narratives to examine the shifting nature of power in neoliberal society. Bringing a a range of cultural theories to bear on literature, comics, and digital technology, the book traces flows of culture and power in an increasingly globalized world.